It is important to perform periodic risk assessments of trees in areas where failure may result in property damage or loss of life. 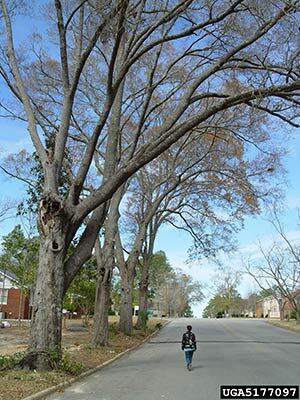 For instance, trees that have lost sections or received large wounds may be vulnerable to decay. In Tennessee, you are responsible for any tree limb hanging over your property, even if the tree originates in your neighbor’s yard. We can evaluate these trees and provide documentation for any trees deemed at risk to damage your property. Pre-construction analysis: Construction can adversely impact your landscape and as a result, trees can rapidly deteriorate post-construction. It is important to take precautionary measures if you want to avoid the unnecessary loss of trees at your site. We can provide the necessary guidance to protect your trees through any construction project. We not only assist with prevention, we can help treat and resuscitate trees that have already been damaged due to construction if caught in time. Soil compaction from heavy machinery chokes the root system, preventing oxygen and water from getting through the ground. Disturbing the surrounding ecosystem and exposing the tree by removing other trees. Changes in the soil grade, causing roots to be buried too far underground, removed from feeder roots, etc.